"Everything about meditation, chakras and wellness!" 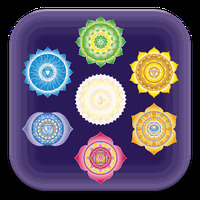 My Chakra Meditation is related to Android apps, Health - Fitness, Meditation. Installation requirements: A minimum of 45M of free memory space and Android 2.3.3 or higher. Do you like My Chakra Meditation? Forget all your problems and sleep like a baby!